Many people suffer from stubborn fat in such areas as the abdomen, thighs, arms and even the back. For some, many people are trying to get rid of the problem. But when deciding on a fat removal procedure which option is best? Liposuction and VASER Liposuction offers two different variations of surgical fat reduction, as Mr Jag Chana explains. The most well-known is the liposuction. Also known as liposculpture or suction-assisted lipectomy, it is a technical technique to remove unwanted fat deposits. Traditional liposuction offers visible results quickly, and provides the patient maintains a healthy diet and exercises, the fat should not return to the body. VASER Liposuction offers similar results to traditional techniques but uses energy to liquefy the fat, making removal less invasive. During VASER Liposuction, transmitters are placed under the skin and fat cells are broken down prior to removal, allowing for a less invasive form of fat removal. VASER liposuction removes unwanted fat without tissue trauma that often occurs in traditional liposuction treatment. VASER Liposuction harnesses the latest in ultrasound energy to effectively liquefy the stubborn fat, removing it in a gentler way. Due to the more specific nature of this type of fat removal, patients can often achieve more evenly and smoother results than those of traditional liposuction. 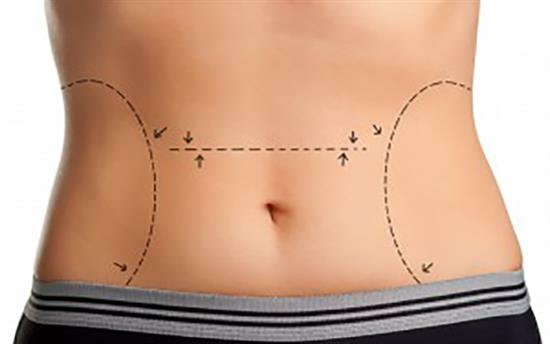 Both traditional surgical fat removal and VASER Liposuction offer excellent results but come with their own sets of risks that should be understood and used to help make an informed decision which option is right for you. Side effects of traditional liposuction include swelling, bruising, the chance of infection, and nerve damage that could end result in a change in skin sensation. VASER Liposuction also carries similar risks but does offer decreased chances of nerve damage and tissue trauma due to its gentler approach to removal of fat. Weighing up the pros and cons of both options and deciding which treatment is most appropriate for your body and your lifestyle is important. If you require further advice on which fat removal option is right for you, then talking to a cosmetic professional that has extensive knowledge and experience with such treatments is vital. Mr Jag Chana is a plastic surgeon who specialises in plastic and reconstructive surgery as well as breast augmentation and is an expert of all forms of fat removal procedures. Which option you choose is a decision to make consultation with Mr Chana. He will assess your needs and listen to your concerns, making it possible for him to tailor a treatment plan specific to your individual needs. He will make sure you understand the ins and outs of both procedures, and how they can benefit you. Your consultation will also be important in helping you make your decision. If you do not like liposuction, or any other surgical or non-surgical procedures, then book your consultation with Mr Jag Chana today. His knowledge, skill and experience mean you will be in the safest hands, whatever route you choose to take.